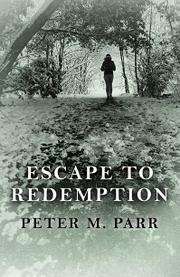 Parr’s novel constructs a tangled web of vengeance, betrayal, and guilt to prove there’s nothing easy about murder. When Josie Davenport was 3, a client fatally stabbed her 23-year-old mother, a prostitute named Lucy Snowball. Now 23 herself, Josie hatches what seems like a simple plan: show up with a loaded gun at the home of her mom’s former pimp, Curtis Rook, and scare him into taking responsibility for Lucy’s death. Josie’s boyfriend, Simon “Snaz” Aziz, supplies the gun, which Josie uses in self-defense when Rook’s 16-year-old son, Dean, comes at her with a knife. In the chaos that follows, Snaz shoots Curtis, and soon Snaz and Josie find themselves on the run. Eventually, a paranoid Josie flees to Warsaw to stay with her ex-boyfriend Pete Henderson, who still carries a torch for her despite repeated heartbreak. Though temporarily safe from the London police, Josie still must contend with the suspicions of Pete’s cousins Adam and Marcin. Meanwhile, her father’s friend Arkadiusz Kogut keeps unnervingly close watch over Josie and even encourages her to fake her own death and start her life anew. Feeling abandoned by Josie back in England, an equally paranoid Snaz confesses his involvement in the Rook shootings—actually, he confesses to everything except murdering Curtis, which he pins on Josie. The police don’t quite buy it, and neither does Curtis’ other son, Matt Rook, who begins sending Snaz threatening messages. “How can it be so easy to kill someone?” one character naïvely wonders, but plenty of obstacles—Josie’s estrangement from her family, Snaz’s religiously strict aunt, the fact that one of the Rook men survives the shooting—arise. At times, the narrative gets a bit overzealous with all the plot twists and double crosses, but Parr’s superb understanding of the way human beings justify their sins (especially to themselves) make Josie and Snaz utterly convincing and compelling. An engrossing, realistic morality tale.